Sun., Nov. 18, 2:00 pm | Iowa Western Arts Center sold out! Always fresh, lively, and thoroughly entertaining, The Nutcracker returns with the visual splendor and charming story that make it a family favorite. 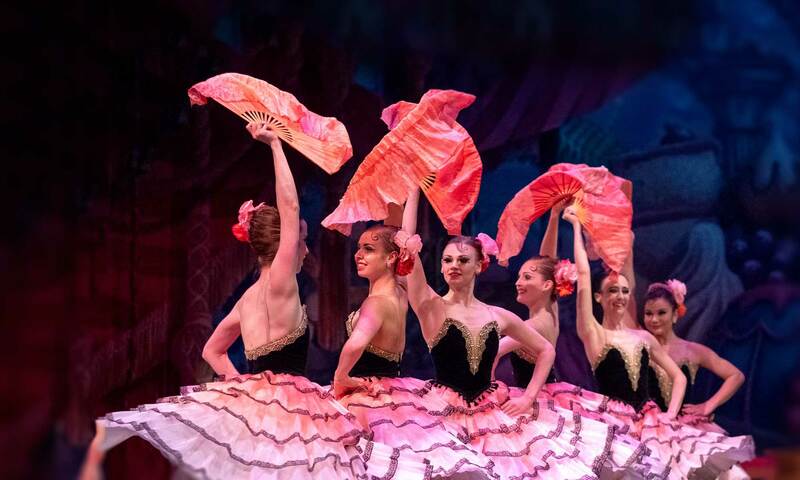 Set to one of composer Pyotr Tchaikovsky’s most famous works, it transports audiences to the enchanting Land of Snow and the opulent Kingdom of Sweets in a stunning production with a cast of 130 professional and student dancers and more than 250 beautiful costumes. Clear storytelling and elegant detail help make this Nutcracker a feast for all ages. Even the youngest ballet-goers will be transfixed as the heroine’s imaginative dreams take her on a fantastic journey. Experienced dance enthusiasts can savor the production’s brilliant classical style, visual splendor, and the sparkling interpretations that American Midwest Ballet’s dancers bring to their roles.